Jonathan B. Hatch is vice president of Wasatch Capital Resources, an insurance and investment firm. He is a registered representative with Lincoln Financial Securities and has been serving clients in retirement and financial planning matters since 2000. Jon graduated from the University of Utah with a Bachelor of Science in Finance degree and has been working as a partner with his father Brad Hatch ever since. Jon enjoys working with his father as they co-advise many of Salt Lake City’s wealthiest business owner families. Having a unique father/son advising business, Jon and Brad Hatch enjoy co-advising varied clients who are Physicians, Executives, NBA and NFL Athletes and Small Business Owners. Having a “Succession Plan” in place for their own business, Jon and Brad have been able to help their business owner clients address those same concerns of running “a family business in transition” from their own unique perspective. Their financial plans deal with specialized asset allocation planning, modern investment strategies for wealth management, proper life and disability insurance designs, retirement and estate planning, and succession planning for Families and Businesses. Jon helps his clients to avoid the “Financial Landmines” by staying on a safe track of budgeting, avoiding excessive spending and planting seed dollars today for a successful financial harvest in the future. 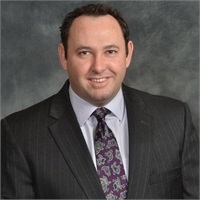 Jon is a qualifying member of the Million Dollar Round Table and is a member of the Valley chapter of the National Association of Insurance and Financial Advisors. Jon is an active alumni of the University of Utah and loves his “Ute” football. Jon enjoys skiing, salt water fly-fishing and beach time with his wife and 4 kids. Registered representatives offering investments to resident of AZ, CA, CO, ID, MD, MN, NC, NM, NV, OR, TX, UT, VA, WA & WI through Lincoln Financial Securities. Member FINRA/SIPC. Advisory services offered to residents of UT & TX through Advisory Representatives of Lincoln Financial Securities. Wasatch Capital is independent of Lincoln Financial Securities. Lincoln Financial Securities and their representatives do not offer tax or legal advice. Please see your personal professional for these services. Our representatives are insurance licensed in the states of Arizona (AZ), Utah (UT), Maryland (MD), Oregon (OR) and Texas, including Idaho (ID) and Wyoming (WY) for securities and California (CA) for insurance only. In CA, insurance may be offered through LFS Marketing & Insurance Sales Corporation. This not an offer or solicitation in any state where not properly licensed and/or registered.